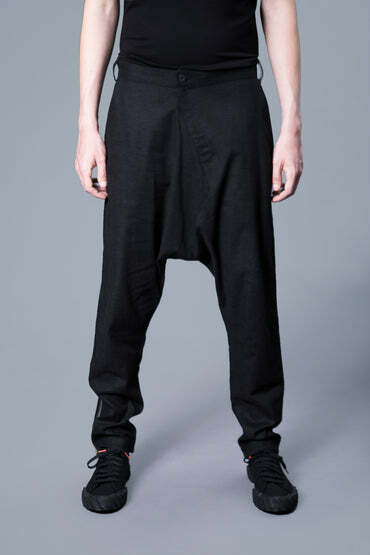 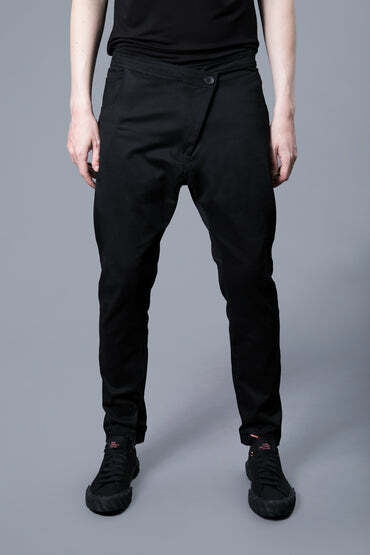 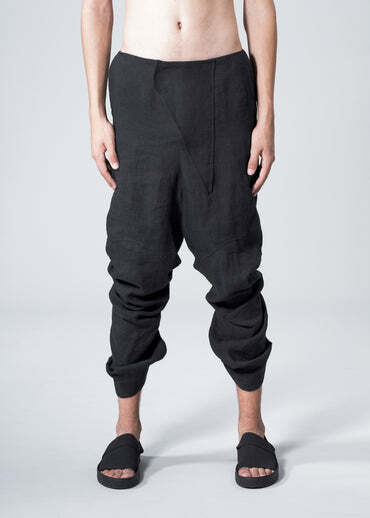 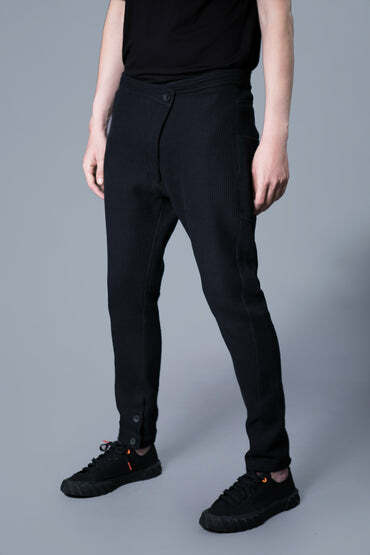 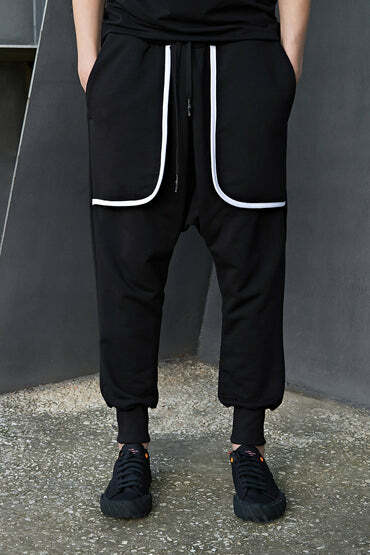 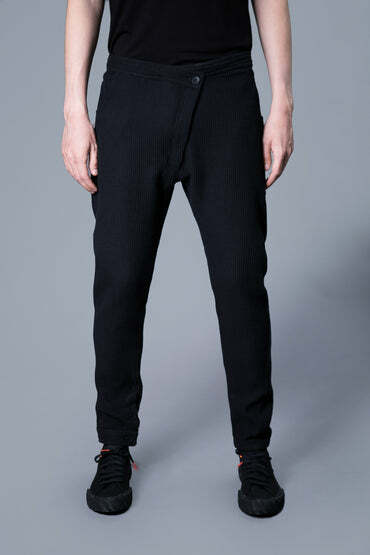 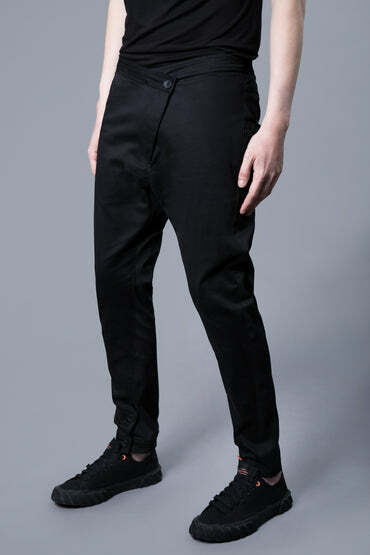 Lightweight wide trousers with front wrap layer. 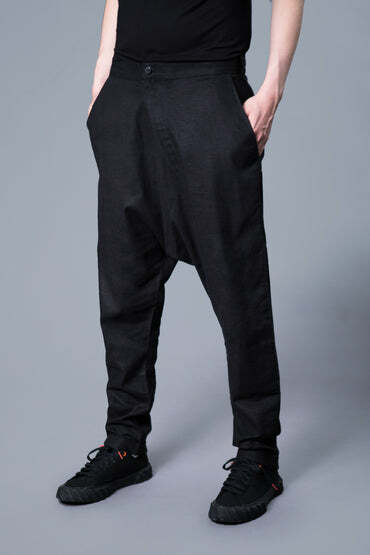 Comes with hook and zipper closure, long cotton ribbon and two welt pockets on both sides. 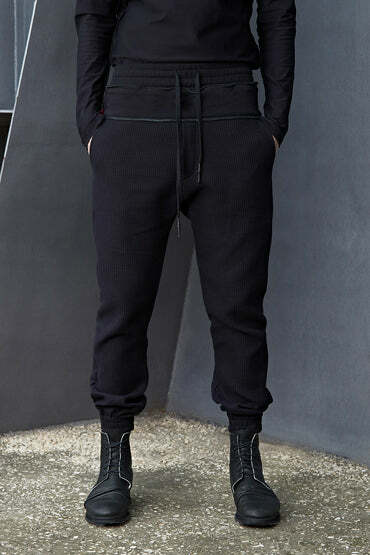 Male model is 182cm tall and wears size S.